On the face of it, NHS trusts are already making progress with electronic patient referrals. Steadily, GPs and patients are defaulting to the NHS Digital’s e-Referrals portal which will soon be mandatory for primary care referrals, to guarantee payment for services. Yet, although this is widely understood – and despite an appreciation that referrals by fax, email or other manual means are not efficient or easy to trace – a large majority of patient referrals are still being handled using complex, time-consuming workarounds. Even where requests are channelled via the NHS e-Referral Service (e-RS). This undermines the purpose of the NHS e-RS, which is designed not only to provide a single central digital platform for capturing and coordinating patient referrals, but also to streamline associated processes, speed up treatment, and provide reliable traceability of a patient’s progress and status. So what is preventing total take-up of the broader digital experience – where referrals pass quickly to the right person, and targets of faster patient diagnoses and treatment are met? First, NHS Digital hasn’t yet developed its own workflow-driven applications to make it easy to pass referrals through the system automatically and track and report on progress. Second, the diversity of IT systems used by GPs and hospitals has proved a barrier to integration. As a result, primary care providers have resorted to faxing and emailing referrals. For their part, hospitals have printed and scanned those requests, manually re-entering and tallying these with patient records held elsewhere on their systems. Rather than accelerating case flow-through or alleviating administrative workloads, this has often created more work and delay. It is not unusual for a trust to be manually re-entering details of 15,000 referrals per month. Some major trusts accept up to 50,000 patient referrals daily. For the NHS e-Referrals programme to have its intended impact, digital processes need to be joined up end to end. Then they can start to exploit intelligent automated workflow. That includes prompt diversions of cases to more appropriate specialists or services (inside or beyond the immediate hospital); and complete traceability and reporting – with rules-driven alerts, to ensure that no case enters an administrative cul-de-sac or slips through the cracks, and that critical performance targets are not missed. All Acute trusts are aware that the current piecemeal situation cannot continue. As of 2020, faxed referrals will no longer be accepted, and NHS services already face the prospect that they will not be paid for referrals accepted through any channel besides the e-RS portal. So trusts and their primary care practitioners might as well ensure that the e-RS leads to perceptible benefits for staff and patients. Fortunately, approved NHS Digital development partners SynApps Solutions and Alfresco have already put in the groundwork to deliver end-to-end electronic referrals solutions. These offer trusts all of the integration; rules-based workflow; process automation; monitoring, prompting and reporting required to fully harness the benefits of digitising patient referrals. From electronically capturing patient requirements and connecting these to patient records; to accelerating the triage process and clinicians’ acceptance/refusal/redirection of referrals; to vigilantly monitoring, prompting and reporting on referral-to-treatment progress, our combined, modular solutions are designed to extract maximum early benefits from NHS Digital’s e-Referrals initiative for everyone concerned. The expected benefits are substantial – including efficiency gains of 60-70 per cent compared with manually processing, checking and following up on referrals and progress to treatment. And that’s aside from the benefits to patient safety, as cases are proactively tracked and escalated thanks to automated rules in the system. Robust compliance and performance measures, meanwhile, will help ensure that trusts are paid in full and within acceptable timeframes for the cases they have accepted. None of this needs to be an upheaval or costly exercise for trusts, either. Our solutions can be run in the cloud as well as on premise, and there are significant grants available for trusts ready to make the full transition now. Funding is applicable especially where organisations come together on joint projects, in line with NHS England’s Sustainability and Transformation Plan. Each trust can go at its own pace too, or prioritise how it tackles its respective migration to a fully digital referrals scenario. That’s because the SynApps Solutions/Alfresco solution suite is modular, offering trusts the flexibility to concentrate on just the capabilities they seek right now. This entry was tagged Alfresco, ECM, NHS by Carina Birt. I hope you spotted the great news that came in at the end of last month that the most trusted name in the IT commentary world, Gartner, rated us extremely highly in that part of the market known as the VNA. VNA is not the sexiest term for a technology ever, I’ll grant you – but actually, it’s a really important tool and one that could really help a lot of people. That’s because the name – it stands for ‘Vendor-Neutral Archive’ – doesn’t really convey what its power or potential actually is. We know – we’ve been marketing some excellent VNA solutions, especially for the NHS market, for a number of years now, and the vagueness of that name has perhaps not been to its help. Why? Because NHS buyers see the VNA as in, essence, a medical device… it’s a bit of software that is good for storing my medical imaging data, specifically all the PACS and DICOM data that I needed to find a safe and secure home for when the old off-site PACS storage NPfIT contracts came to an end in 2015. Which it is – a VNA is a fantastic way to store very large data files and access them really easily. But that was never what a VNA was only supposed to do. That’s because, out of the gate, you had this really cool XDS tech built into it – XDS standing for ‘Cross Enterprise Document Sharing’. Why XDS is so useful is that it is a standards-based way to work with multiple forms of content, of all different types. That means that a VNA isn’t actually just a place to stick big X-ray image files, though please carry on doing so… it’s actually an Enterprise or Document Management System. Why should I care, I hear you thinking? Well, a VNA might not be a whole lot of use to a manufacturer, a retailer or a financial services CIO. Well, then – yes – what a VNA can do suddenly becomes absolutely central. How: because it’s the proven, available and tested way to keep all patient data – from notes to prescription charges to medical imagery to social care interactions – in one place. And from cradle to archiving – across multiple stakeholders. In that Gartner report, that route of travel has been clearly signaled. The good news is that here at SynApps Solutions, we spotted the potential for this years back, and have accumulated relevant expertise and intelligence on doing just this kind of Super-VNA work (and have some significant trails underway to make a VNA-based Shared Care Record a reality – an in months, not years). It’s brilliant to see that Gartner has caught up with us – but we’re not boasting, we’re just saying that we are ready whenever you are. Let’s work together to make VNA do what you and your patients and service users really need it to. This entry was tagged ECM, IDCR, Integrated Digital Care Record, NHS, PACS, VNA by Carina Birt. Sandwell & West Birmingham Hospitals NHS Trust (SWBH) has recently introduced digital content management for its medical records, determined to make sharing medical data easier and more practical. The project is based on content management platform from Alfresco, implemented and project managed by SynApps Solutions. SWBH is a busy, multi-site NHS entity. In the past financial year alone, it handled 199,437 attendances at A&E, 650,000 community contacts and 526,945 out-patient appointments. Clearly, information and its correct routing matter a great deal at SWBH. To put that in context: in the month of January 2017, the Trust moved no fewer than 35,000 individual patient records around teams internally. The problem: those documents were moved by four-wheeled trolleys – not digitally. For The Trust’s chief informatics officer, Mark Reynolds, the motivation behind the digital content management project is clear – it’s all about “helping make information sharing a lot smoother”. This entry was tagged Alfresco, Content Management, NHS by Carina Birt. The aim in healthcare is for patient care to be provided seamlessly and with continuity across any combination of service providers – from acute and mental health Trusts to community GP practices and pop-up clinics all the way out to caregivers out in the field. Sandwell & West Birmingham Hospitals NHS Trust (SWBH) is a busy, multi-site organisation. In the past financial year alone, it handled 199,437 attendances at A&E, 650,000 community contacts and 526,945 out-patient appointments. Clearly, information and its correct routing matters a great deal at SWBH. To put that in context: in the month of January 2017 alone, the Trust moved no fewer than 35,000 individual patient records around the institution. SWBH has recently introduced a digital content management approach to medical records, aiming to make sharing medical data easier and more practical. The approach uses a content management platform from Alfresco, while being implemented and project managed by SynApps Solutions. The trust is currently digitising the new documents that come through its doors. “This isn’t a project about making all of our archives paperless, but a way to make the Trust more nimble and EPR-ready,” adds Reynolds. Advantages of this approach include valuable early benefits – freeing up office space on its sites as paper storage starts to become less important. SWBH is also able to redeploy some of its admin staff who would have been tending all that paper. To achieve this, SWBH decided on a very pragmatic Open Source approach. This brings advantages in terms of commitment – such freeware can be adopted on a zero-cost basis with a view to a bigger commitment when commercially viable. The Trust also wanted to only work with a supplier who had sold into the NHS, and so would understand its issues and not need any hand-holding. The Alfresco content management system to manage digital content, implemented by SynApps, met those criteria, and SWBH was happy to start the records digitisation project with those partners. As we come to the end of a very interesting year for the NHS, the Police and general business – in the context of Brexit, on-going digitisation of society and a less predictable international scene, it’s time to reflect on where we are. What we see and hear from our many NHS, Police and enterprise customers is that while there have been issues for many in the economy, especially for those in the public sector facing austerity, we get a sense that there are signs of real progress. There has been progress for our customers in trying to get closer to the digital NHS sought (and which will be the best-organised NHS in terms of budget pressure and meeting the demands of a changing society and healthcare environment). We have been working for some time with a large teaching hospital in the North East, for example, that is resulting in a proof of concept demonstrator of ground-breaking medical records sharing. That project in turn connects up with our work and interest in the Great North Care Record initiative. This is also even more the case now that we have opened up a new line of business with another important partner, our new Intelligent Metadata Layer proposition (see my last blog : Meet IML – The New Single Window On ALL Your Corporate Information LINK]). That will soon open into a strong business for us – in the same way as our health business powered by Open Source in the form of the Alfresco platform has been introduced into so many NHS Trusts up and down the country. While being talked about for years and not happening enough, at last we are seeing real achievement in the area of connecting DICOM Vendor Neutral Archives with EPRs. There is also great work commencing in digital Policing and SynApps is at the heart of three hugely important business-social-legal areas of interesting and important work: helping the NHS do a better job, helping the Forces to be more effective in delivering justice and protecting citizen rights, and aiding enterprises make information more productive and useful for them via IML. SynApps has also entered into an exciting partnership with AWS to enable quick to deploy, low cost, scalable, secure ECM “solutions as a service” with the content residing in the UK. 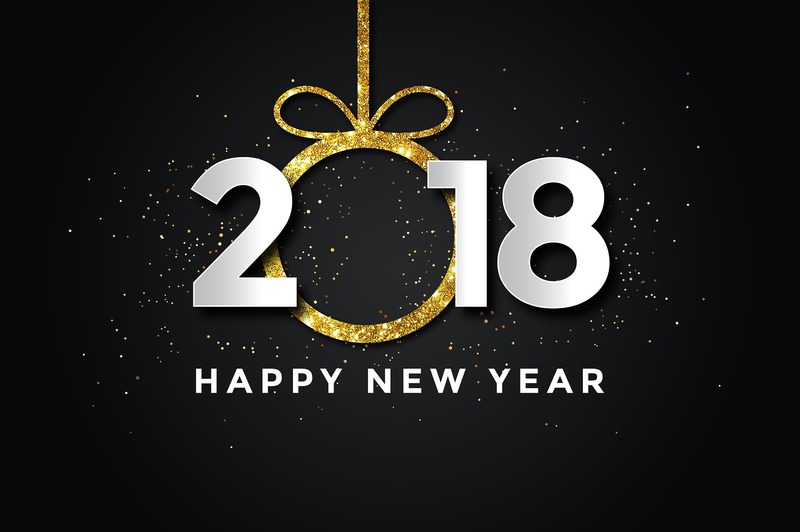 We see 2018 as being a really promising year for us commercially and we are looking forward to the chance to opening up a dialogue about all the great opportunities with you, our customers, in the next 12 months. A big seasonal thank you to all our staff, partners and most of all customers – and all good wishes for 2018! This entry was tagged Great North Care Record, Intelligent Metadata Layer, NHS, Police by Carina Birt. You may have noted in our News section that SynApps is to exhibit at the upcoming Great North Care Record (GNCR) Network Event at the end of the month. If you’re not familiar with the GNCR, then I’d like to briefly bring you up to speed, then explain why SynApps is an enthusiastic backer of the initiative. The Great North Care Record project is a serious attempt by the NHS to use technology to improve the way patient information is shared at a local level. Its two key values: everything has to happen with patient consent, and all work is bent towards finding real, practical ways to improve patient care and to help the NHS to run more efficiently. You may have heard those values espoused before. We’ve all observed ambitious national data sharing programmes come and go. However GNCR, by starting at a local, pragmatic level, has achieved a lot more than some of its better-publicised forebears. For example, all of phase one of the project’s rollout is complete. In practical terms, that means over 11,000 views of GP records in participating institutions in secondary care are carried out digitally per month. All eyes are now on phase two, which is focused on exploring how all the health and care settings involved in patient care can have the ability to instantly access and share real-time patient information. So it seems the emphasis is consistently on delivery. 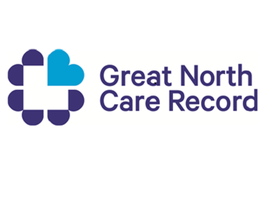 Next week at Newcastle Racecourse, attendees from clinicians working across a range of healthcare settings, social care practitioners and research colleagues are coming together under one roof to share ideas about how the Great North Care Record can improve patient care. We’re looking forward to presentations from senior healthcare policymakers and experts, as well as NHS Trust chief executives from across the North East. The bottom line is that we have a digital patient-sharing programme that is making progress in the NHS, and that’s something we all need to applaud. And learn from and share best practice out of. That’s why SynApps, a veteran of data sharing in the NHS and a trusted supplier of clinical content support to multiple NHS Trusts will be at the Great North Care Record (GNCR) Network Event (November 28). By the same token, if you are a UK healthcare professional don’t forget to get your free place here. This entry was tagged GNCR, Great North Care Record, NHS by Carina Birt.